The Iraqi Army has wrested back control of Mosul, with Iraqi prime minister Haider al-Abadi officially declaring victory after a nearly nine-month-long offensive against the Islamic State. “I announce from here the end and the failure and the collapse of the terrorist state of falsehood and terrorism,” Abadi said. ISIS took control of Iraq’s second-largest city in the June of 2014, and it was one of — if not the most — significant of its territorial gains in Iraq. Three years later, Iraqi troops backed by the U.S.-led coalition forces have reclaimed it after a brutal battle that began in October and has left parts of Mosul in ruins and thousands dead and displaced. 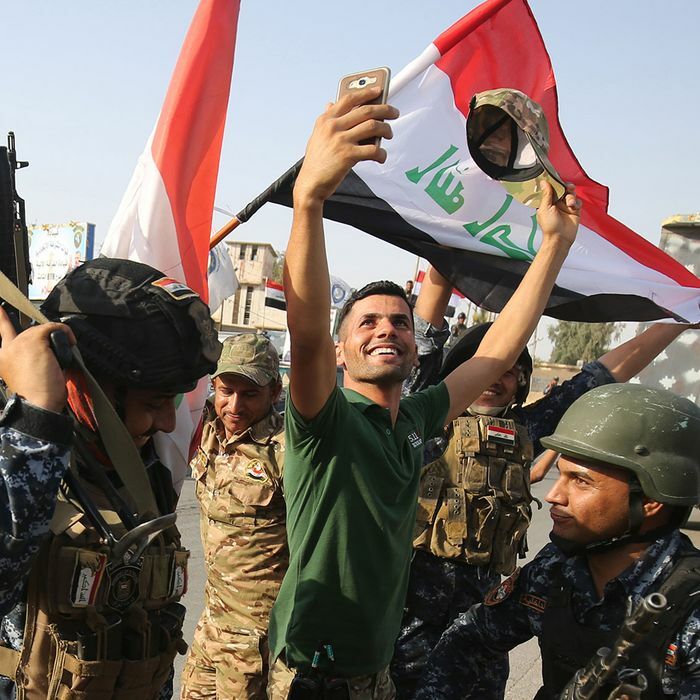 The celebratory mood is also tempered by the political and military realities still facing Iraq. 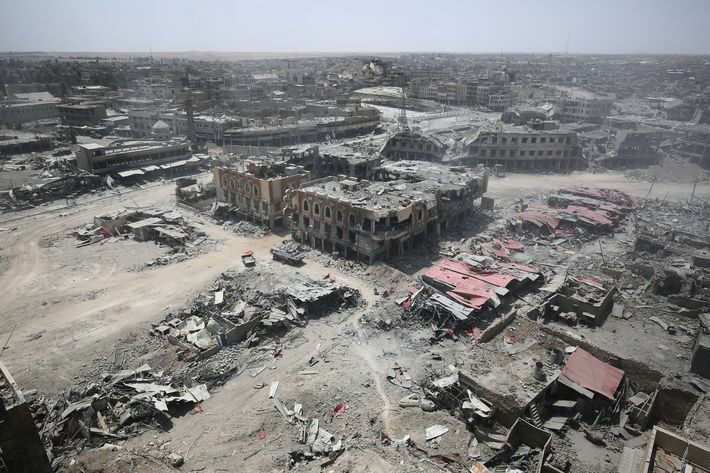 ISIS may have lost its most coveted real estate, but it is not totally defeated in Iraq, and still controls chunks of territory in northern Iraq and other towns scattered throughout the country. Military officials also predict that as the terror group gets squeezed territorially, it will resort to insurgent tactics to wreak havoc, especially if young fighters return to their hometowns and try to blend back in with the civilian population. 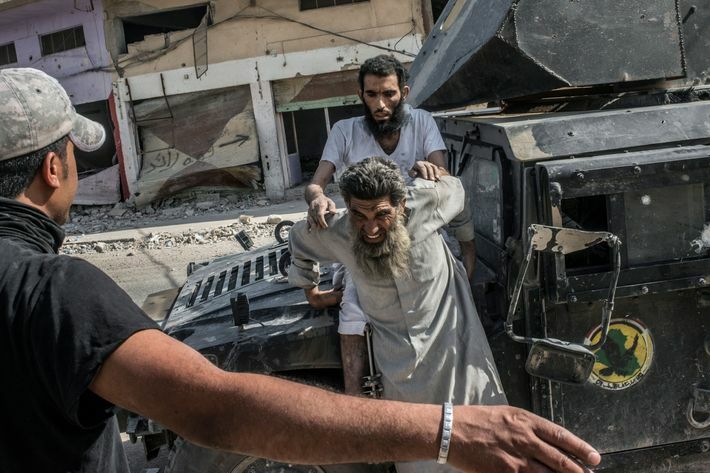 And the sectarian divide between Iraq’s Sunni and Shia populations that fostered ISIS’s rise remain unresolved, a situation complicated by the Kurds’ call for an independence referendum this fall. A depleted Mosul must also be rebuilt. Parts of eastern Mosul, liberated early on in the offensive, have sprung back to some semblance of normalcy, but the western part of the city — which had been more heavily populated — has been decimated by months of ground fighting and air strikes. Early United Nations estimates put the cost of reconstruction at close to $1 billion. Some of the nearly one million civilians who were displaced have returned, but hundreds of thousands more remain remain in humanitarian camps without homes to return to in Mosul.